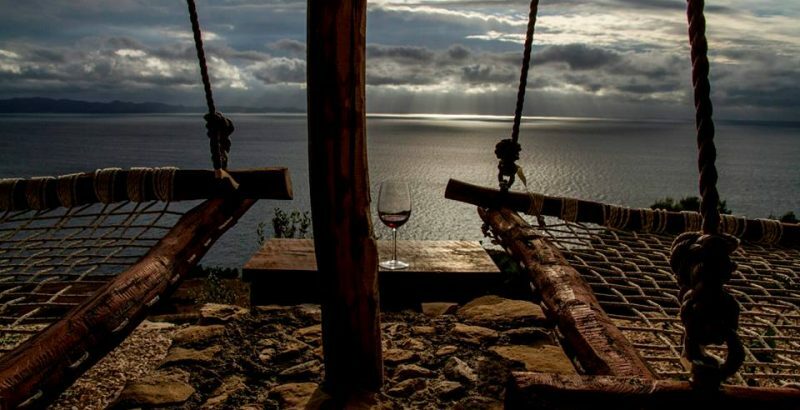 Peninsula Pelješac Dingač Grand Cru Tour is a private all day tour perfectly tailored for couples or small groups who want an adventurous getaway from the crowded places. 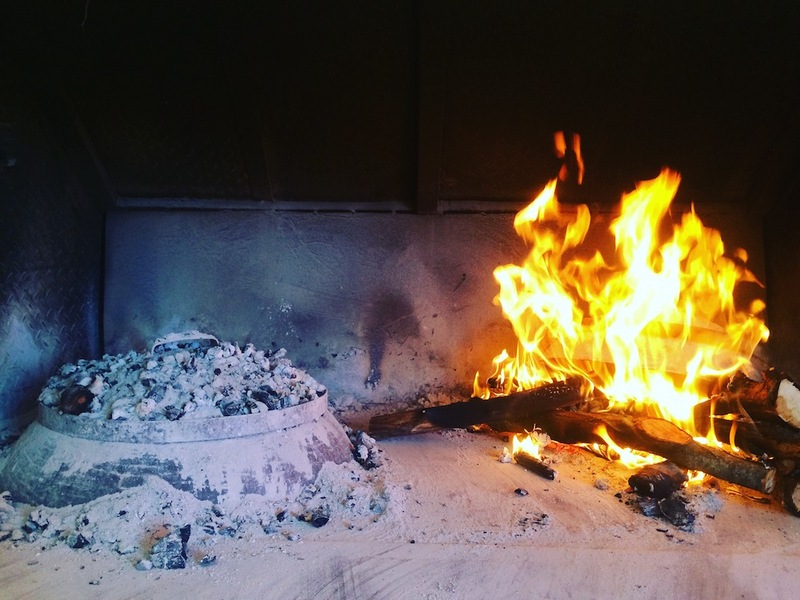 This diverse tour is all about the moment where history and culture meets wine and food. 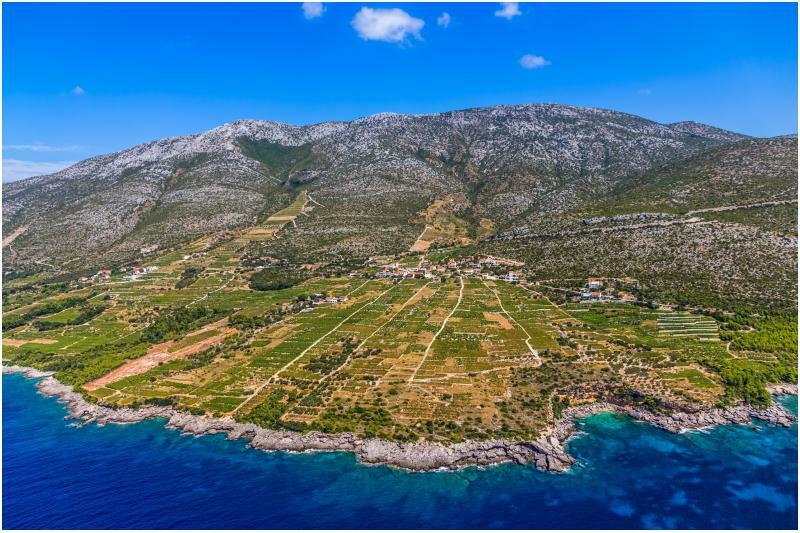 We visit the longest defensive walls in Europe, taste premium wines at small boutique wineries, visit an oyster farm by boat and taste freshly harvested oysters, eat traditional Dalmatian “peka”, visit famous Dingač Grand Cru vineyards and several breathtaking sights. It is easy going, spontaneous and very intimate tour full of pleasant surprises. Wear some comfortable clothes and shoes. Exercise the eyes and the belly a day before, the bigger they both are the better. Passport is required. Tour includes a pick up from your hotel / apartment and return, safe and clean air condition equipped vehicle, professional driver and English speaking guide, introduction to wine tasting techniques by WSET Level 3 diploma holder, entrance fees, wine tasting at two wineries, oyster tasting and boat drive, traditional lunch and premium bottled drinking water during the day. 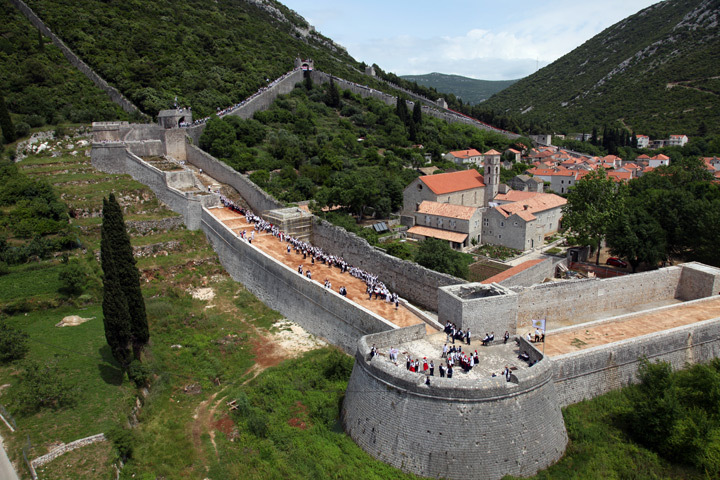 Peninsula Pelješac Dingač Grand Cru Tour begins with the World’s second largest walls located in Ston. Built in 14th and 15th century with its length of 5,5 kilometers including 40 towers and 5 fortresses, the walls protected the city of Ston and were of strategic importance to the Republic of Ragusa (Dubrovnik). Our next stop is a family oyster farm run by generations. 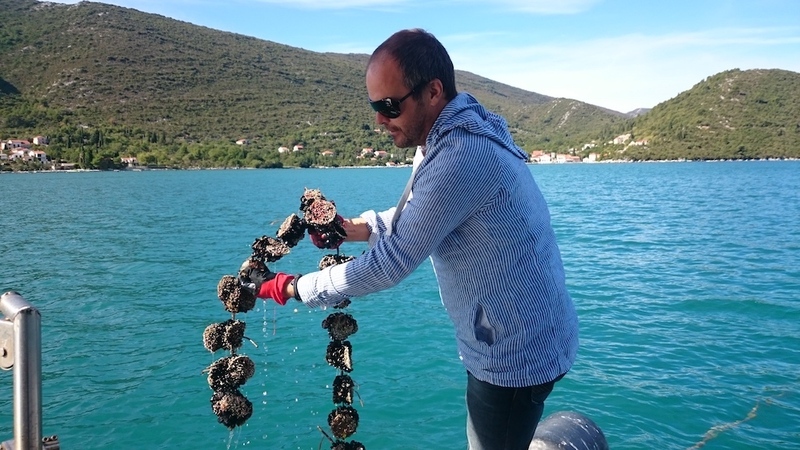 Cristal clear sea and eco system rich with flora and fauna play a big role in oyster farming. The bay of Ston is well known for delicious, creamy textured oysters that are hard to resist. A 10 minutes boat drive would take us to the section of buoys owned by Dubo’s family, who would introduce to us the secrets of oyster growing. While at the boat, we would taste freshly harvested oysters with a glass of white local wine. Beginning of the day, doesn’t get better than this. Oh, did we mention you get an amazing scenery of the Great Walls of Ston and its surroundings? 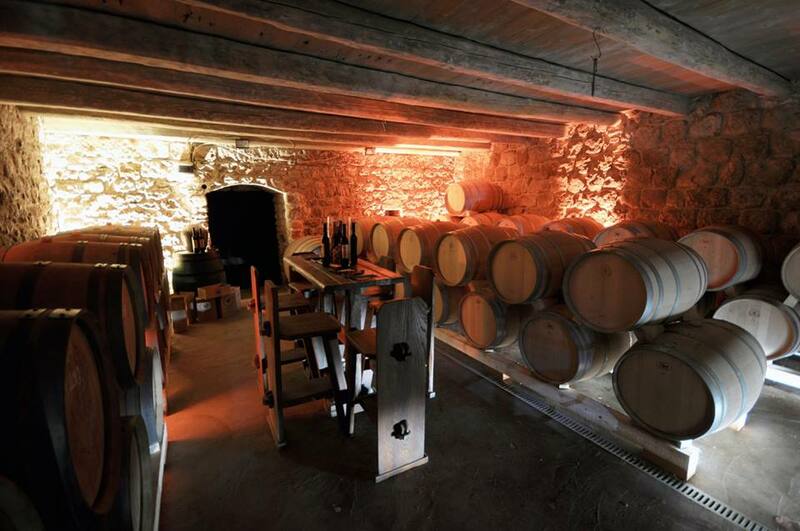 We continue to Miloš winery located in Ponikve village, surrounded by old Napoleon pathways built in 19th century. 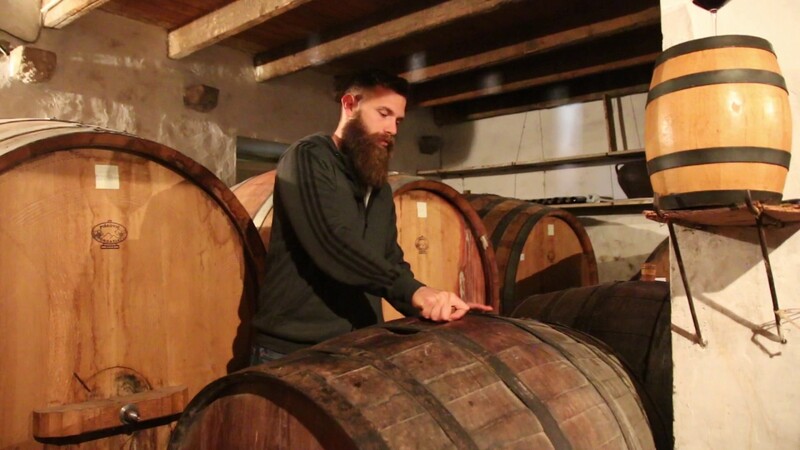 Miloš is a small estate winery with organically grown vineyards and annual production of less than 20,000 bottles. Today, 7th generation of Miloš family still nurture the tradition and cultivates vineyards of indigenous Plavac Mali grape variety on steep slopes on the hills of Ponikve. After the cellar tour, we are going to taste 3 wines all made from a single grape variety Plavac Mali. Local cheese and their World awarded olive oil would be served as well. Stagnum one of the wines we would taste is considered to be an iconic wine in Croatian winemaking history. 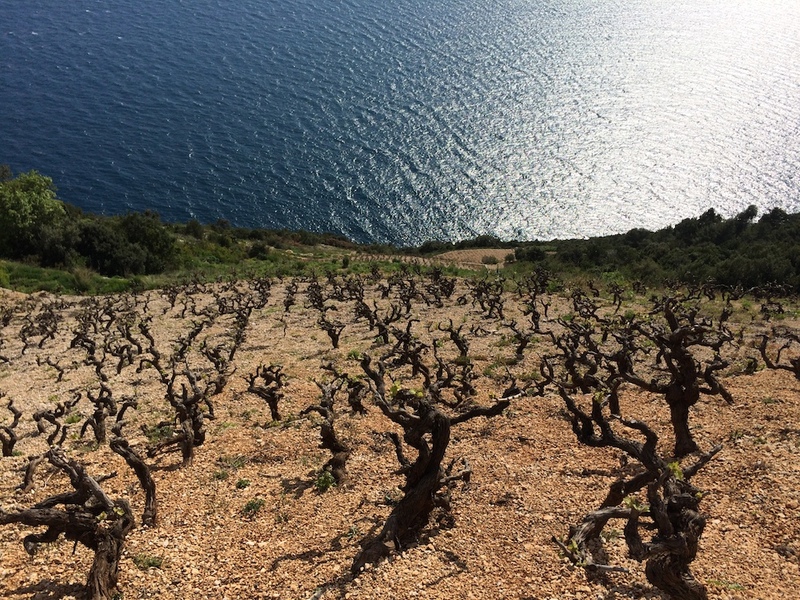 Dingač is Croatia’s oldest geographically protected wine-growing appellation – since 1961, and one of the most expressive terroir for cultivating Plavac Mali (Zinfandel’s offspring) grape variety. It delivers top quality world class, full bodied red wines with a distinctive bouquet and taste of plum, blackberry, almonds, dried figs, dark cherry, leather, tobacco, coffee and Mediterranean herbs. With over 2800 annual hours of sun and vineyards positioned up to 60 degrees slopes and altitude of 350 meters, Dingač is truly unique wine growing appellation in the World. We visit up to 100 years old vineyards and enjoy the breathtaking scenery with a little surprise! Vicelić is one of the oldest winery on Pelješac. Back in 1935 they were one of very few who have bottled wine and were exporting to Prague and Vienna. Nowadays, Vicelić exports their premium Dingač wine to the oldest wine and spirit merchant in UK, Berry Bros & Rudd, founded in 1698, which exclusively delivers wines to Buckingham palace and its royal members since the reign of King George III. Once at the cellar, we will taste 3 different styles of wine made from Plavac Mali grape variety and meet one of the coolest winemaker at the peninsula. Lunch takes place at 300 years old tavern in Kuna village owned by Antunović family. They produce organically grown food and own a ranch with more than 300 animals. We start with an aperitif such as grappa or cherry liqueur followed by Dalmatian prosciutto, bacon, sausages, goat cheese served with a seasonal salad and homemade bread made under the bell. 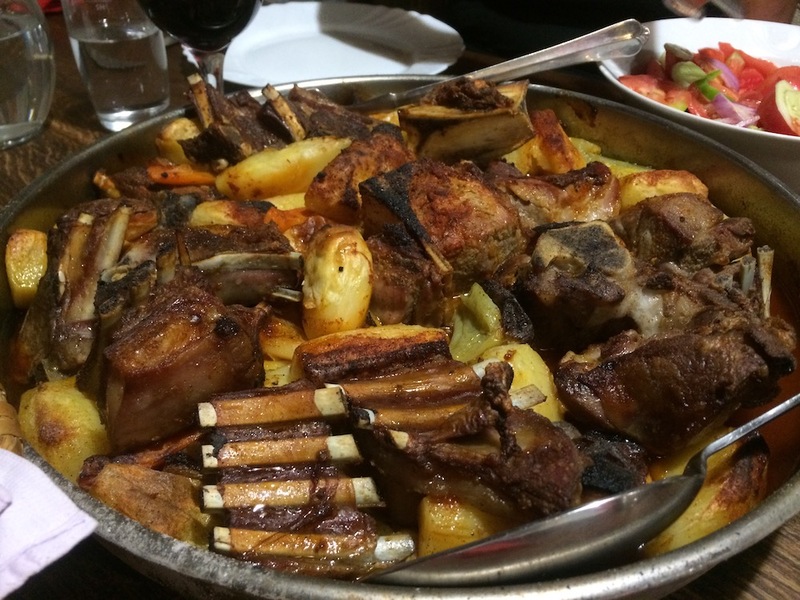 For the main course family Antunović would prepare a traditional Dalmatian “peka”, which consists of lamb, veal, potatoes and vegetables baked under the bell. Water, red and white wine is served. This is a top gourmet experience you would never forget. All food is organically made at the estate.